Small business owners are fascinating because of their courage… or what I perceive as courage. Who knows, maybe some are faint of heart. Because when anyone ventures and goes against the grain of employee-dom (did I just make up a word?) there’s a risk of failure. Yes, there’s a risk with being an employee, but in my mind, it seems the uncertainty is greater for business owners. If you get fired from your job you can blame your wack boss…your fellow employees who are trying to do you in (whether that’s perceived, real or downright wrong). But absent environmental disasters, floods or other things out of your control, who you ‘gon’ blame if your business flops? Seems that losing a company of any size would be a hit to the spirit…so hard you’d need to duct tape and air pump your poor spirit daily just to get out of bed in the morning. That’s why small biz owners fascinate me. They’re willing to confront that risk every-durn-day. Like Ayanna Alexander of Sixahwe Naturals. She makes products to keep the skin away from the throes of crust-ashiness. Learn about the origin of the company name, why they decided to go into business, and an important lesson she learned about how to avoid getting pissed-off at your passion. During this episode, there were a couple of references that you may or may not be familiar with. Ayanna mentioned two schools during our talk. One was an HBCU called Oakwood University,and a private high school based in Takoma Park called Takoma Academy. Thanks for listening to Planet Noun! The next episode drops in a couple of weeks! 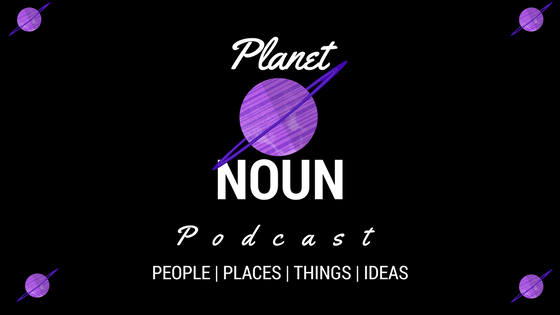 For more Planet Noun, follow on Twitter, Instagram and Facebook. Guest: Ayanna Alexander, founder of Sixahwe Naturals—handmade soaps, lotions, body butter and more!